We are very excited for our second year with Stand Up For Pits Foundation, Inc! Last year, the event broke records and made magic happen for the dogs. Mark your calendars. Donation drive will be June 1st and the Comedy show/Silent Auction is June 2nd. If interested in volunteering, email us for info. The SUFP Foundation is dedicated to ending abuse, discrimination and saving the lives of pitbull “type” dogs. This “type” of dog based soley on appearance is the target of extreme abuse, discriminatory bans and has been falsely vilified for over 3 decades and it must end. Stand Up For Pits events help us to educate, advocate and save lives. Pit Bull type dogs are born inherently good and deserve to be protected, respected and treated with compassion and without prejudice like all life deserves. These shows save countless lives, help shelter animals, raise national awareness for our dogs and support other pitbull “type” dog rescues around the country working hard. Twenty Paws Rescue is thrilled to be this year’s participating rescue for the second year in a row! We will be bringing adoptable pibbles and benefitting from selling merchandise, accepting donations, and doing silent auctions. 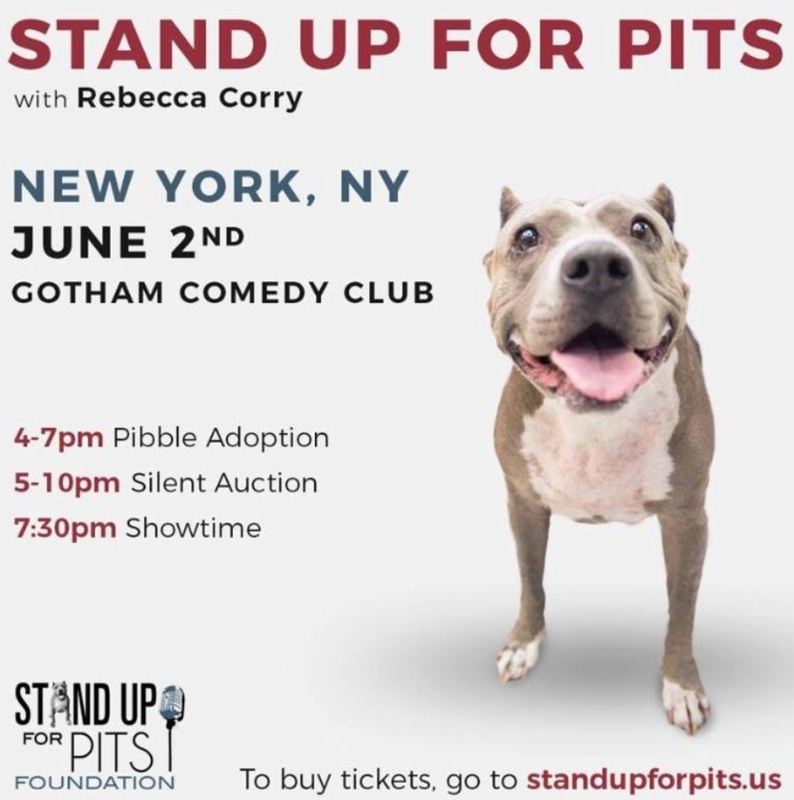 For tickets, go to the Stand Up For Pits Foundation website. Please check out Twenty Paws and SUFP social media sites for details and sneak peeks at dogs and silent auction items. See you there!